After installing the plugins and it's dependecys you will find a new wizard at the new/other action. 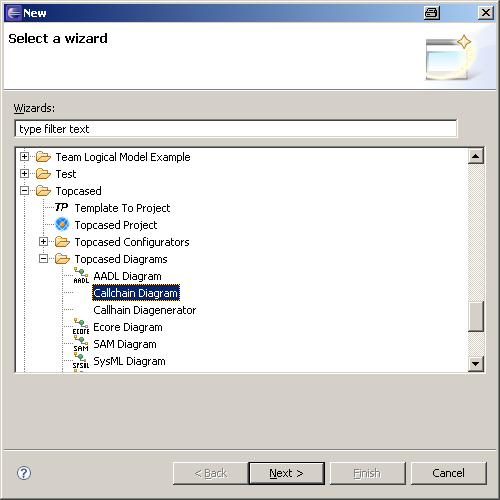 Next will pop up the standart wizard for creating a Diagram. 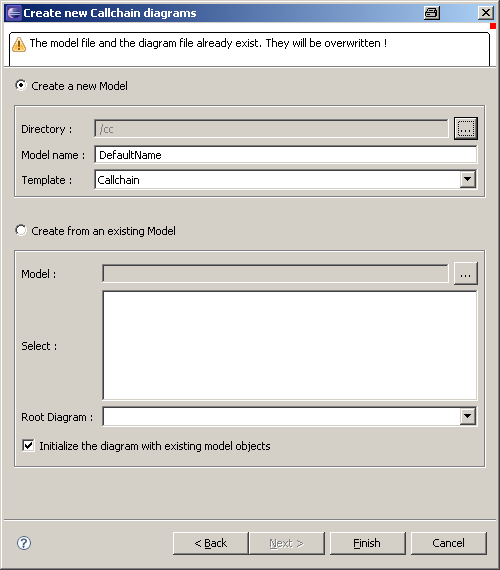 After creating the model files, you can edit your callflow by creating the elements in the diagram, just use the palette. 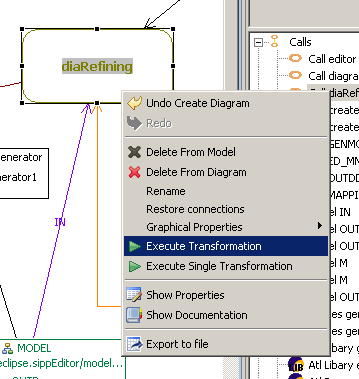 To execute the transformation/s you use the context menue available for a call. You can execute only the single call, or all calls linked together via the nextCall feature. You could also import your old launch configs when you save it to a file (in the common Tab shared file). Select the file in the navigator, and select "call chain ->createfromLauchConfig"